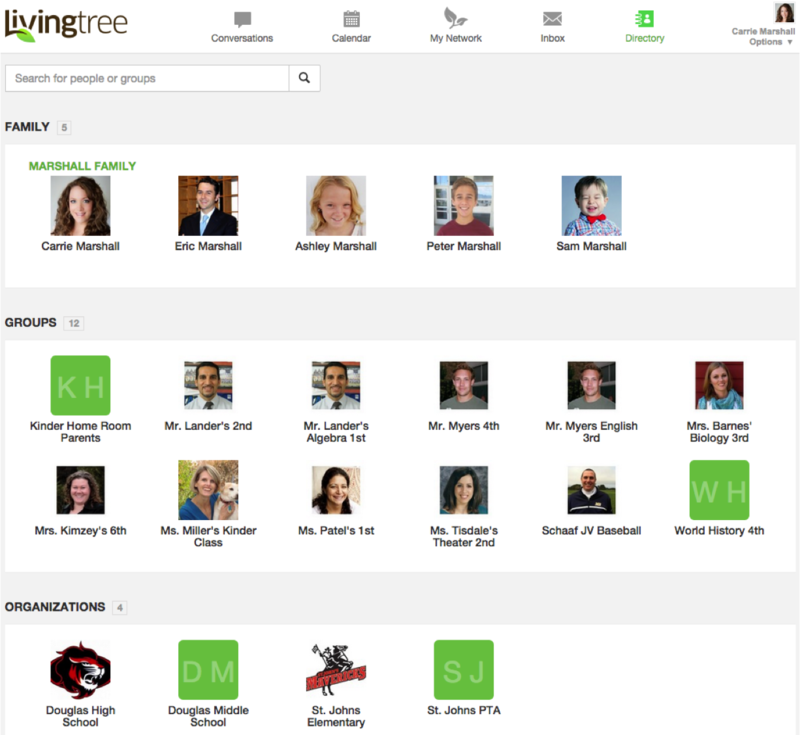 In Directory, you have a complete list of the families, groups and organizations you’re connected to through your Livingtree network. Your contacts are organized by family, group, and organization. You can use the directory to search for contacts and send private direct messages to the contact(s) you select. If a user has chosen to make their information public, you’ll see the info (email address / phone number / street address) when you click on the contact’s name. By default, this information is private for every Livingtree user. Contact information can be made public in the ‘edit profile & preferences’ section of your account. You can quickly find a specific contact by using the search field at the top left corner. Simply start typing the name, and users from your contact list will auto populate as you type. Note, student users may only view and message teachers and school administrators. Parent users are unable to view or message students. Teachers, group leaders and admins may view and message students and parents.